Love this you are so creative. Gorgeous! Thanks for sharing, once again. This is a very sweet little shadowy face. I couldn’t see the face until I backed up and squinted, and then it felt as if I was looking at a very dear face. Thank you again! Thank you, Aleksa 🙂 Yes… the photo does make it harder to see the child’s face…. 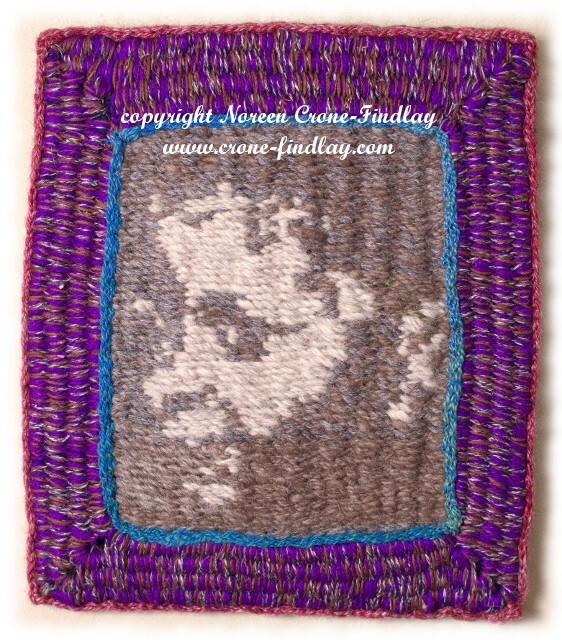 it’s easier with the actual woven piece – funny how photos can flatten things….. Thank you so much, Mac and Sue 🙂 I decided to share what I have been working so hard on, so that’s why I’ll be posting pics of the new pieces. I appreciate your support! You never stop amazing me, with your beautiful pieces of art. I just knitted a simple little clown doll. Thank you , Susan 🙂 And, being silly and full of delight is delicious, so enjoy! That is just lovely, and so creative! Thank you for sharing it.